Today is Mother’s Equal Pay Day, which marks how far into the year mothers in the United States have to work to earn what fathers earned in 2017. Equitable Growth writes a lot about this topic, and today we take a look back at some of our work analyzing the cause of the motherhood pay gap in the United States and abroad and the research on solutions that help mothers and families balance caregiving responsibilities with paid employment. “Mothers in the United States earn less despite education and experience.” New research finds that the motherhood wage gap has remained the same over the past 30 years, and has actually gotten worse for some mothers. 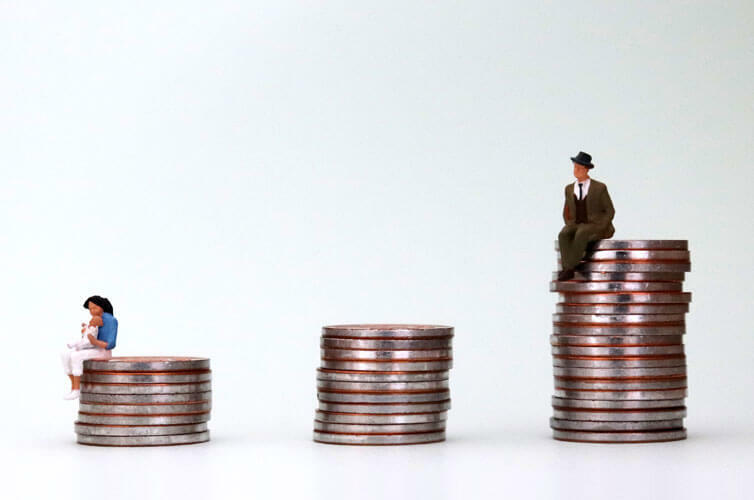 “Gender wage inequality: What we know and how we can fix it.” Equitable Growth’s recent report details the drivers of U.S. wage inequality for mothers and childless women alike and lays out steps that can be taken at the state and federal level to address it. “After 25 years, it’s time for paid leave.” Twenty-five years ago, President Bill Clinton signed the Family and Medical Leave Act, providing most workers the job-protected right to take unpaid time off from work to care for a new child. This column looks at why it’s time to update the law to include paid leave. “Can women’s “sagging middle” help explain the fall in U.S. labor force participation rates?” Labor force participation rates have been falling since 2000, and women dropping out of the workforce is playing a role. Research shows that, following the birth of a child, women’s labor force participation is lower today than in the past. “Has the momentum around paid leave reached a tipping point in the United States?” Existing state policies show that paid family leave based on a social insurance model can provide a critical benefit for everyone in the U.S. workforce. “Across developed countries, family policies help women.” Research examining whether there is a cause-and-effect relationship between family policies and women’s employment outcomes in western countries finds that spending on childcare and early child learning results in higher rates of women’s employment and a reduction in the gender wage gap. “Is the cost of childcare driving women out of the U.S. workforce?” Research finds that rising childcare expenditures in the United States results in an estimated five percent decline in total employment of women and a 13 percent decline in the employment of working mothers with children under the age of 5. “All work and no pay for women around the globe.” A young women entering the job market today can expect to work on average four more years than their male counterpart due to women’s disproportionate share of unpaid and domestic duties. “Working mothers with infants and toddlers and the importance of family economic security.” Mothers with young children have played a crucial role in keeping their families afloat financially in the United States, elevating the need for policies that address work-family conflict.